Flying in the Face of Climate Change - Planet Aid, Inc.
Society must become more conscious of its carbon footprint to reduce climate impacts and help slow the Earth's rapid warming. In an effort to tread more lightly upon the planet, some people are beginning to re-examine their choice to travel by air. Some have even gone so far as to vow to never fly again. Air travel produces the most emissions out of any type of transportation, accounting for 4 to 9 percent of the total climate change impact due to human activity. And our love of flying is only likely to increase. In 2004, nearly 2 billion passengers traveled by air. In 2017, that number had doubled. Although improved aerodynamics, greater engine efficiency, and higher passenger density have cut per-passenger emissions in half compared to 1990 levels, total aviation emissions have still increased by 3.6 percent every year, meaning emissions have been doubling every 20 years. Contrails, which are the cloud trails that you see behind a plane, also have harmful affects on the environment. These cirrus clouds form when the hot, moist air released from a plane freezes in the cold, dry air. These contrails trap energy and create a warming of the atmosphere. 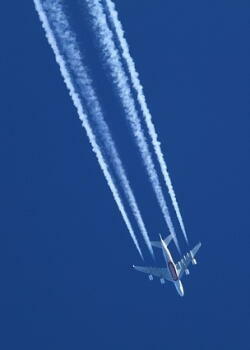 Recent findings from the Institute for Atmospheric Physics at the German Aerospace Centre suggest that contrails have a greater impact on climate than the CO2 emissions from airplanes. The difference is that emissions have a longer lifelong impact than contrails due to their ability to cause warming hundreds of years down the road. Earlier this month, a Virgin Atlantic plane flying from Orlando to London became the first commercial flight to use jet fuel partly made from recycled industrial waste. If other airlines adopt this practice on a large scale, it could reduce the carbon footprint of aviation by more than half. The Virgin launch was part of an initiative in conjunction with LanzaTech, a U.S. firm that recycles industrial waste gasses and other waste streams into ethanol-based aviation fuel, and the Boeing Company. 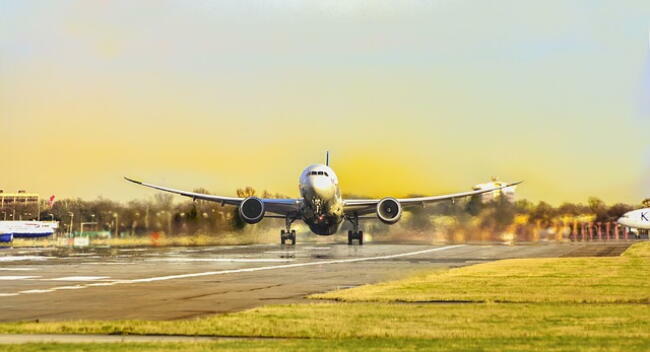 Lanza claims the new blend could eventually supply up to 20 percent of the fuel in the aviation industry, leading to a 65 percent decrease in greenhouse gas emissions compared to conventional fuel. “The appetite for long-haul travel is only getting bigger, and as airlines it’s our responsibility to deliver that in the most sustainable way possible,” said Virgin Atlantic Founder Sir Richard Branson in a post on Virgin's website. 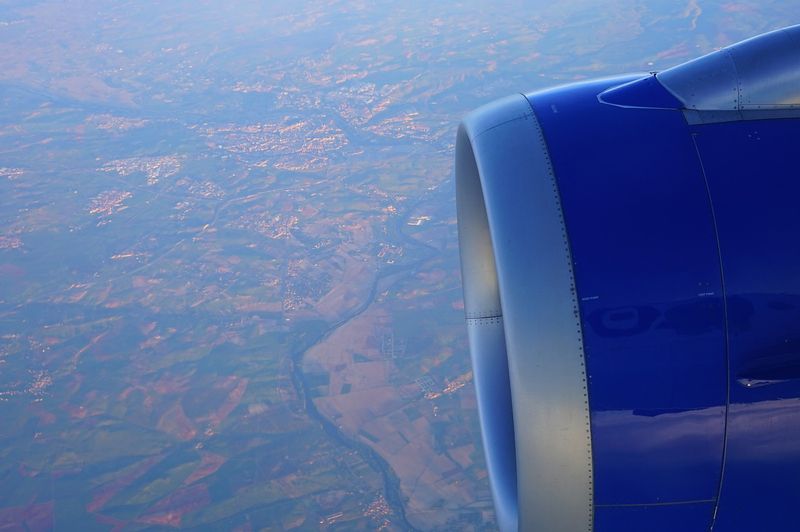 Virgin is not the only airline taking steps to reduce climate impacts. Dutch airline KLM has also been striving to become an environmental leader, and has been using biofuels to power some of its planes. Planet Aid supports the idea of reusing and recycling materials to save fossil fuel and reduce climate impacts. The reuse and recycling of textiles that we collect has helped reduce greenhouse gas emissions by more than 300 million pounds. We applaud innovations such as those developed by LanzaTech to make good secondary use of fossil fuel waste, and thereby keep more oil in the ground and reduce carbon emissions.